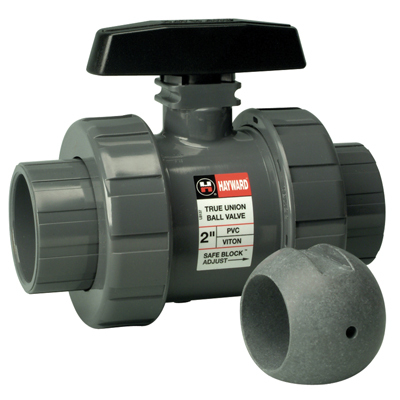 3" TBZ Series CPVC Z-ball Valve with Threaded Ends | U.S. Plastic Corp. Sodium hypochlorite is inherently an unstable compound. Two things can happen to it in a piping system that will affect the choice of a valve. Sodium hypochlorite can decompose over time, which results in the formation of crystalline salts, and as it decomposes, one of the decomposition by-products is oxygen gas. Valve effectively vents the gases while keeping inner valve surfaces constantly wetted, ensuring problem free use. Eliminates the conditions required for gas accumulation and salt crystallization.